Early on Saturday morning I drove to Culver City for a car maintenance appointment. After being told that it would take "a couple hours," I decided to take advantage of the lovely weather and relative quiet and walk around downtown Culver City. One place on Main Street was fortuitously open: Grand Casino Bakery. 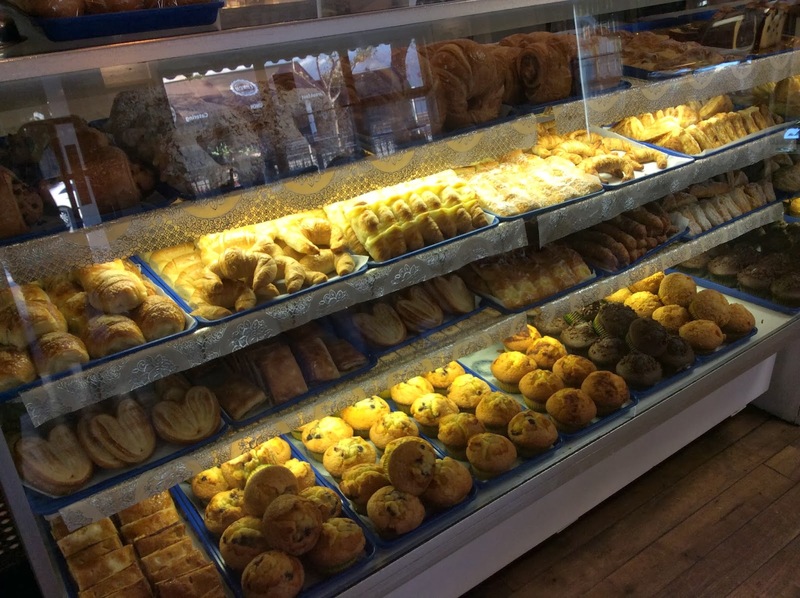 This establishment has a bakery half and a restaurant half and specializes in Argentine pastries and dishes. Both sides had cute elderly couples sitting, eating, and quietly chatting this morning. 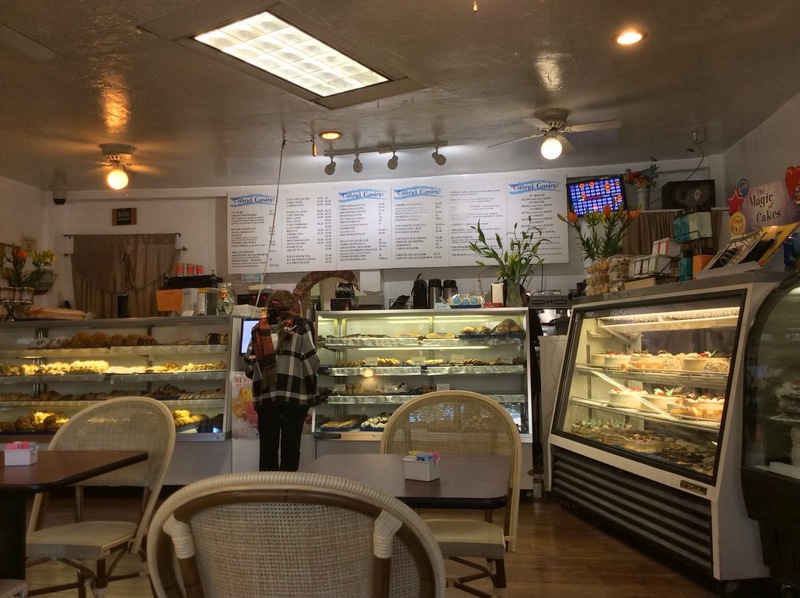 There was also an old man reading the newspaper, and various other patrons came in and confidently ordered boxes of pastries, all of which I took as encouraging signs. I didn't recognize everything in the display case, but after hearing some of the descriptions, selected a guava pastry (top row, far left) and a mini croissant with some custard on top (top row, third from left). I don't think I'd had a guava-filled pastry since my youth symphony's trip to Brazil, back in 2003! The two pastries, plus a cafe con leche, came to less than $4.00, and were definitely tasty. A dozen would have been $9. The croissant wasn't particularly crisp, but had a nice contrast between the innards and the custard ribbons on top. The guava pastry was even better (with a better crust), though I did wish there was more filling. 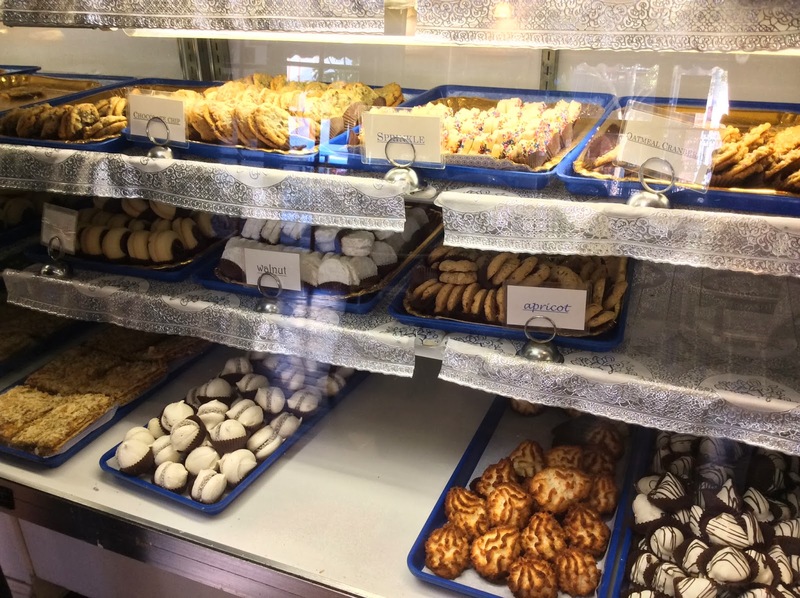 The bakery also sells different cookies, including alfajores, as well as fancy decorated layer cakes, but I do consider 8:15am too early for cookies or cake. While I ate, I examined this poster of various mate styles. 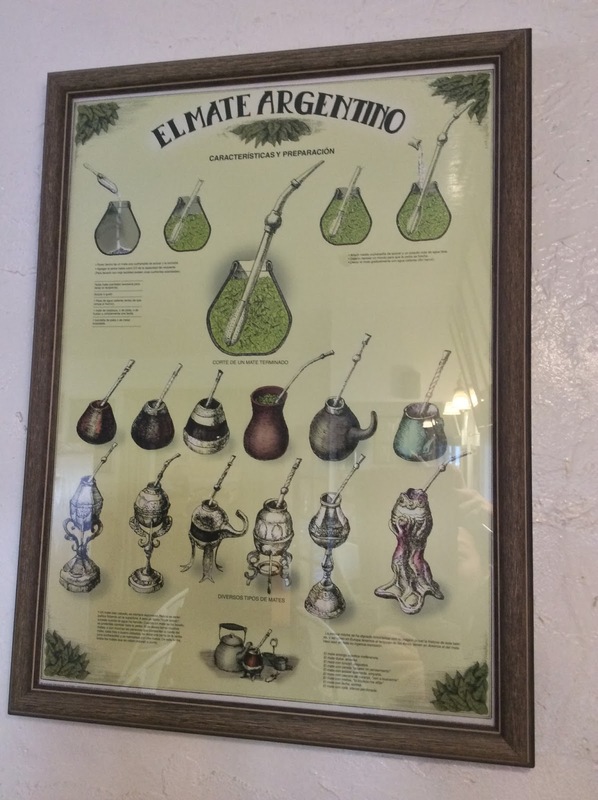 It was hanging on the wall next to a tall shelf with various varieties of mate, so if I ever crave a highly caffeinated Argentinian brewed beverage, I'll know where to go! In fact, mate is available on the cafe menu for $1.95. But that aside, I'll definitely be returning for the pastries. I also want to try the alfajores, empanadas, and maybe the skirt steak, perhaps with the "panqueques con dulce de leche" for dessert. After breakfast, I ran some more errands. Culver Blvd is actually quite lovely! 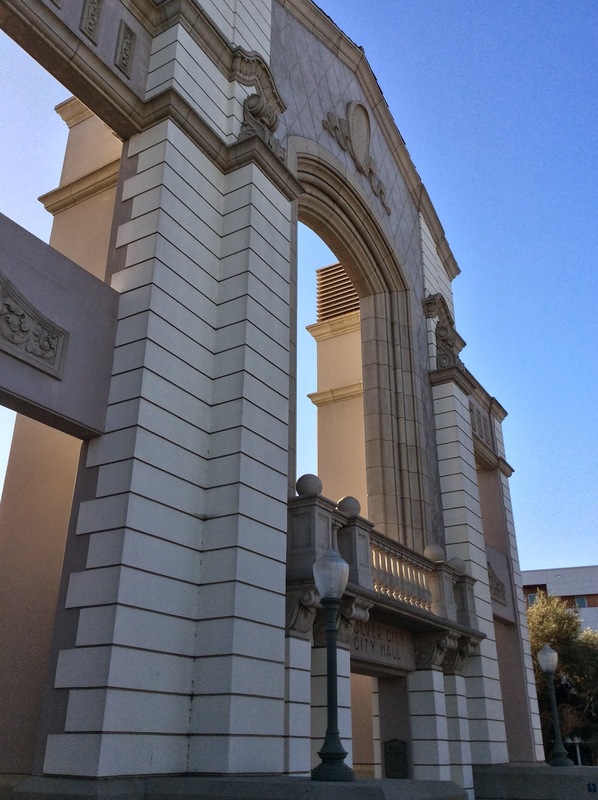 Case in point: the impressive archway in front of the Culver City Hall. 2013 was tasty....now what's next?